UK based digital identity platform Yoti has been picked by Scotland’s Improvement Service to give Scottish residents a simpler and safer way of proving their age and entitlement to access a wide range of services, rewards and discounts. Participants in the first part of the trial will be able to leave valuable ID documents such as their passport, driving licence or other existing forms of identity safe at home, and prove who they are with the secure Yoti app. This idea, say the pair: provide an additional access channel for smartphone holders; other access channels, like telephone and face-to-face, will continue to be made available. “We anticipate smartphone ownership will continue to grow and as technology evolves and mobile usage increases, we’re committed to maximise the use of secure mobile and digital technology to deliver information and services to citizens,” said the Service’s interim CEO, Sarah Gadsden. What are the Digital Identity needs of the UK Third Sector? securely access online public services by applying for a myaccount Yoti gives people more control over their personal data by allowing them to share specific identity attributes (i.e. just their name or 18+) without disclosing their full identity, helping to protect them from the ever-growing risk of identity fraud. The free Yoti app is available for Apple and Android phones and takes less than five minutes to set up, claims the vendor: you just take a selfie and add an ID document with your smartphone, which is transformed into a digital identity and lets the user prove who they are in seconds. Yoti uses 256-bit encryption to secure user details and puts individuals in control of their data, and the user has to give consent before their details are shared. They also know exactly what details they are sharing and who they are sharing them with. The same technology was tapped by Jersey earlier this year. 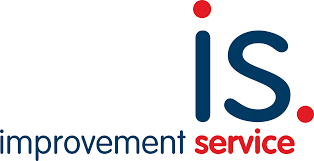 The Improvement Service is the national improvement organisation for local government in Scotland, and says it’s there to help councils and their partners to improve the health, quality of life and opportunities of all people in Scotland through community leadership, strong local governance and the delivery of high quality, efficient local services.